A traditional courtroom divorce can drag on for an extraordinary length of time. It doesn’t have to, of course, but that tends to be how these cases operate. The adversarial nature of the legal process, combined with the incentives for lawyers who are paid by the hour, often combine to ensure that a divorce can take a long time to make its way through the system. This is essentially a hidden cost that is not accounted for in a normal budget. By contrast, our uncontested divorce process values your time and considers quickly reaching an agreement to be one of our top priorities. If you want to learn more about the specific nature of our uncontested divorce process, please call Split Simple today at (855) 665-9920 for Chicago divorce mediation and uncontested divorce services in Denver. Economists have a concept they call “opportunity cost.” It refers to the larger, often hidden costs associated with investing time in any course of action. Basically, you can’t be in two places at the same time, and you can’t do more than a single thing at the same time. The time you spend, say, fixing a fence at home, comes at the cost of reading a book, pursuing other hobbies or, more concretely, working in exchange for money. 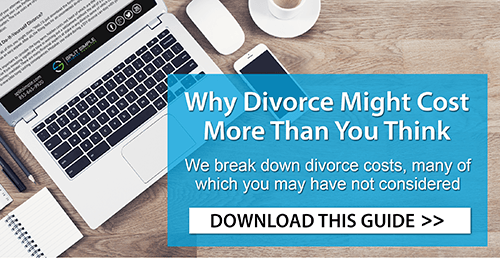 This is a significant issue when considering a divorce. The cost of a traditional courtroom is about more than the amount of money you spend on lawyers. You have to take into account the time you spend in the courtroom, negotiating with your spouse in a judge’s chambers and filling out paperwork. All of those things take up time that could be spent … well, doing literally anything else. Split Simple’s uncontested divorce process is designed to fairly and equitably solve problems, but also to do so in a timely fashion. A typical mediation session is about two hours long, and most of our divorces require just two or three sessions. Some are even resolved after one session. Compare that investment of time to what you can expect in a traditional courtroom divorce. You’ll find that going through mediation with Split Simple saves you quite a bit of time. And that can be invaluable. If you’re hoping for a divorce that is as quick and painless as possible, please call Split Simple today at (855) 665-9920 or contact us online for Chicago divorce mediation and uncontested divorce services in Denver.